While still in its infancy, battle royale games have proven to be tremendously popular. PUBG Mobile has become the flagbearer of the gaming genre but 2018 also saw newcomers like Call of Duty: Black Ops 4, Ring of Elyseum and more shake things up and carry the last-man standing format to the next level. The genre is now popular across platforms with some games like Fortnite even offering cross-platform play. And the obsession about isn’t showing any signs of slowing down in 2019. There are new games cropping up both from big studios and indie developers. Let’s take a look at the popular Battle Royale games out there. Both PUBG and PUBG Mobile have had a busy 2018 adding two maps and new features. The mobile version of the game is especially popular among Indians with millions of players tuning in. The game also features heavily in eSports tournaments these days, and by the looks of it, the game’s popularity isn’t likely to dim any time soon. PUBG is certainly one of the biggest stalwarts of the battle. Just like PUBG, Fortnite too is a frontal force of the battle royale genre. The game is developed by EPIC games to showcase the Unreal engine and is especially popular among teens. The game gives a good counter to PUBG with its arcade-like experience and it even organises massive in-game events that manages to draw millions of players at a time. Call of Duty deviated from its traditional campaign and multiplayer format with a battle-royale mode called Blackout. It’s basically a polished version of what PUBG offers and if you are a long-time Call of Duty player, things like grappling hooks and ray guns will come with a lot of nostalgia. The maps are also popular locations from earlier CoD games and continues to evolve with new features. The sudden popularity of battle royale games made Respawn to officially announce a free-to-play battle royale mode that became an instant hit bringing over 10 million players within just a few days of its launch. The game combines a hero squad shooter with the last-man-standing formula. Each member of the squad have their own abilities and systems that allow mic-less communication and respawn of dead teammates. It might just become the battle royale game to watch out in 2019. Valve’s Counter Strike perhaps felt the existential threat from battle royale games and quickly came up with a mode to take on the best. CS:GO became free to play in 2018, and along with that, a battle royale mode was added called Danger Zone. Like every CS game, the battle royale format is also smaller. It hosts 16 to 18 players at a time and the rounds last only 10 minutes or so. However, the map is quite big as compared to other CS maps and Danger Zone also features classic CS weapons and familiar elements like hostage rescue. Tencent Games is proving to be really good at hosting battle royale games. After PUBG Mobile, the company’s own battle royale game on PC called Ring of Elysium features real-time dynamic weather, snowboarding and snowmobiling. Tencent has also put a few twists to the battle royale formula. The premise is around four players escaping a freezing storm via a resuce chopper. 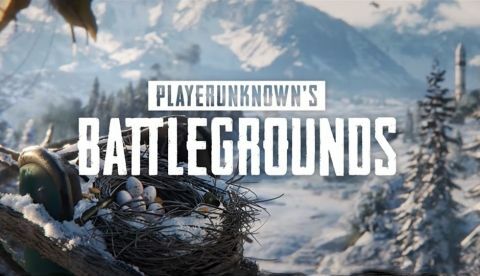 It’s a free to play game and in addition to a new survivial mode, we are quite excited to see what else comes in 2019.